I thought there was no such thing as a bad beer – some were just better than others. 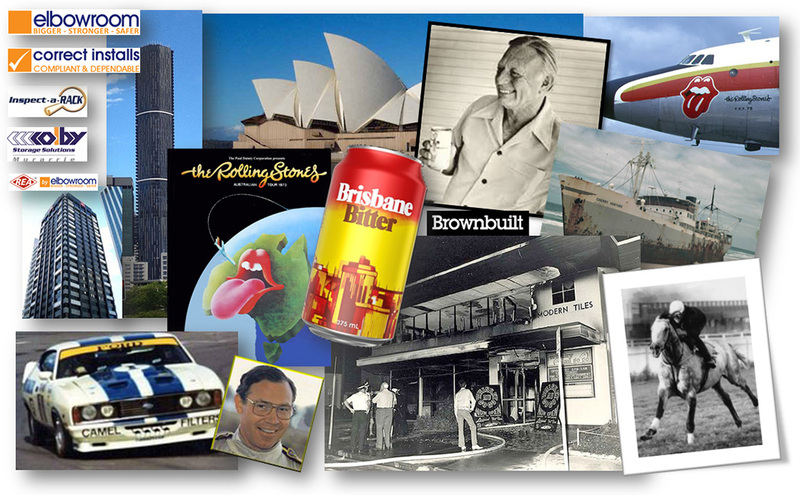 Along comes Brisbane Bitter – myth busted! And the Rolling Stones returned to Australia for the first time since 1966, performing in Brisbane. In 1973, the owner of Elbowroom, Mark Althaus, finished school and put his tool belt on, to start installing shelving and racking systems in his Dad’s business – Althaus Industries. Since 1973 there have been many comings and goings, name changes, some glory times and some troubled times. There have been many changes since those early years. Our offered services and activities were many and varied. We were not so much a recycling society as we were a refurbishment society. Our industry products, like steel storage cupboards; metal shelving; pallet racking; metal lockers; compactus (mobile shelving), were bent back into shape, repainted with modern colours and reused by the original owners. Back then, our installed pallet racking structures were mostly installed by men who climbed up the rack frames and then walked along beams upon a surface area of 2” (5cm) wide. These structures were seldom higher than 12’ (3.6m) and pallet racking was often left unanchored (to the floor). What hasn’t changed is the desire to understand our customer’s expectations and to deliver on them. Over the next 20 years or so, not only did our technology advance substantially, but we also made vast improvements in our focus on safety in terms of methods; equipment; training; and zero tolerance attitude. Elbowroom has grown in all respects including employment opportunities; territory covered; sales turnover; resources; stock holdings; infrastructure and industry acknowledgement. We no longer bend things back into shape. We are environmentally engaged and we either reprocess reusable products through our partner company Ware Hows, or we ensure unusable raw materials are appropriately recycled. ..and like us at Elbowroom, the Rolling Stones are still here and continuing to revisit some old and welcomed stages.